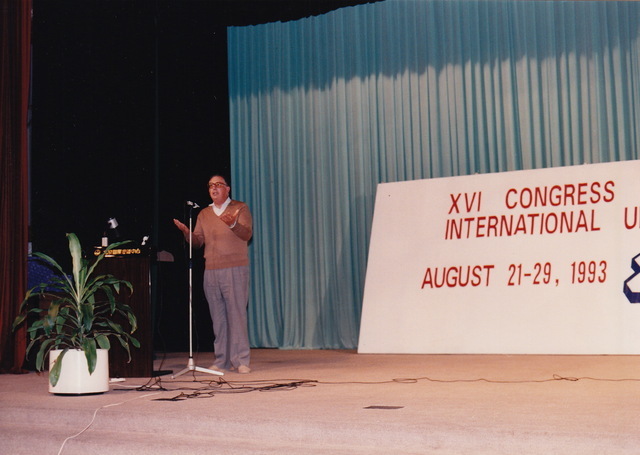 President André Authier at the opening ceremony. 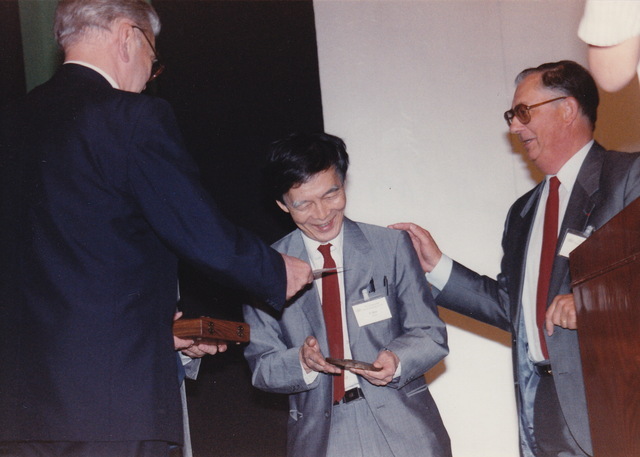 The Third Ewald Prize was awarded to Norio Kato, Department of Physics, Meijo U., Nagoya, Japan for his fundamental contributions to the field of electron diffraction. 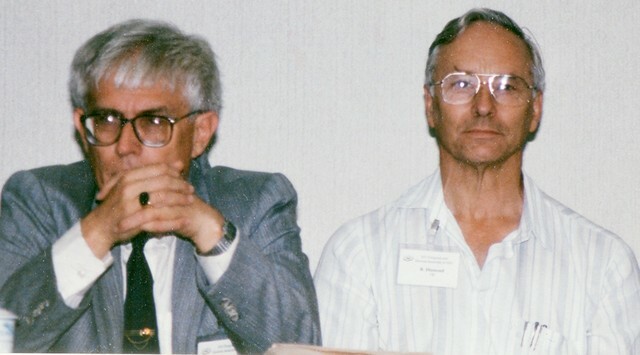 Presented by IUCr Treasurer Asbjørn Hordvik and President André Authier. 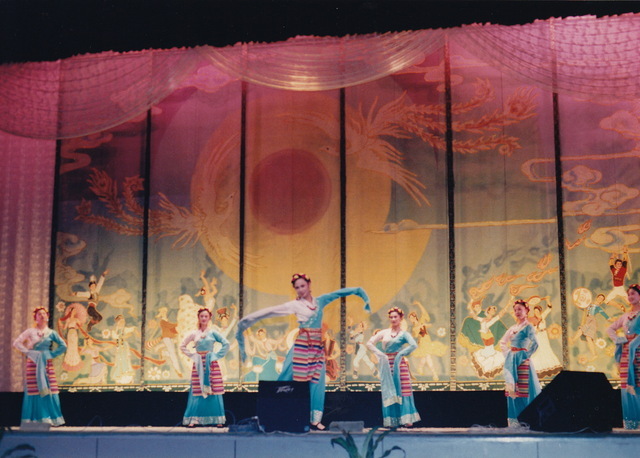 Exhibition of Chinese folk music and dances. 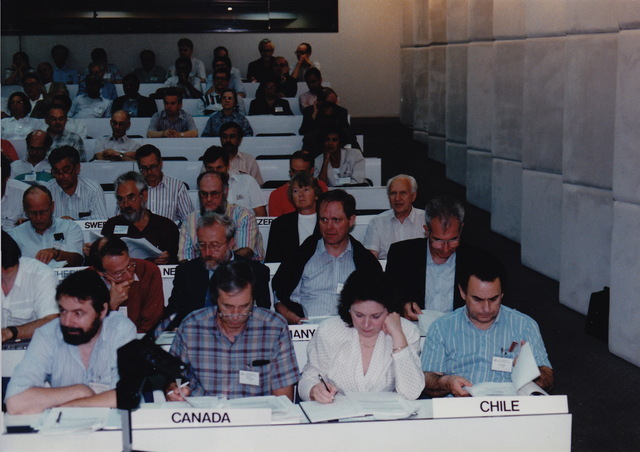 Executive Committee members in front row: A. Authier, R. Chidambaram, J. Harada, P. Codding, H. Schenk. Front on the aisle, Executive Committee member Y. Struchkov. 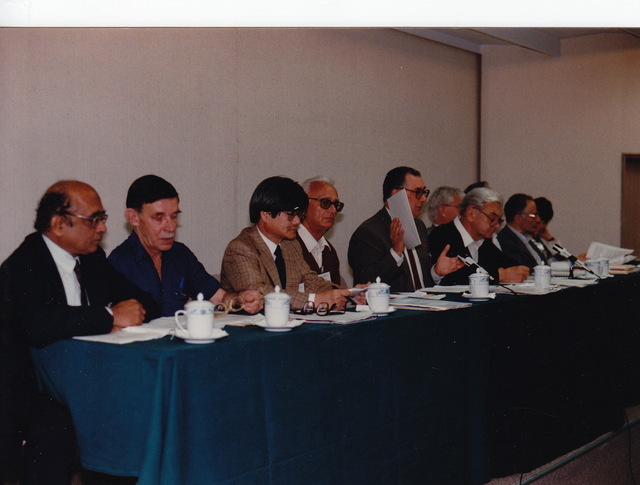 IUCr Executive Committee in China: R. Chidambaram, Yuri Struchkov, J. Harada, Mario Nardelli, André Authier, Asbjørn Hordvik, Alajos Kálmán, Philip Coppens. 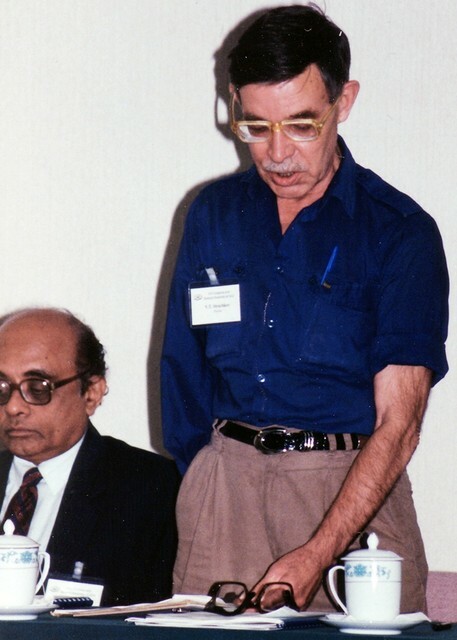 R. Chidambaram, Yuri Struchkov, J. Harada. 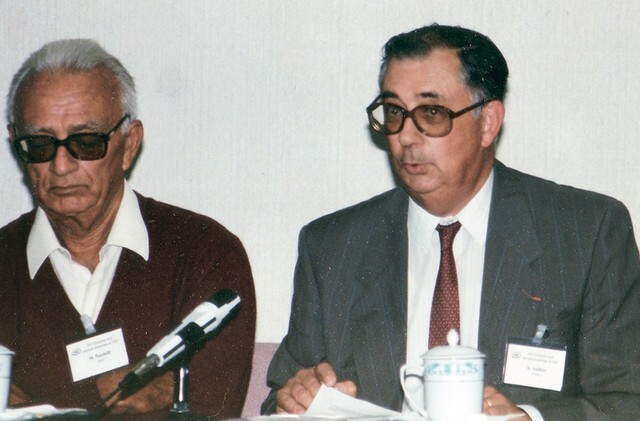 R. Chidambaram and Yuri Struchkov. Philip Coppens (USA), Penny Codding (Canada). 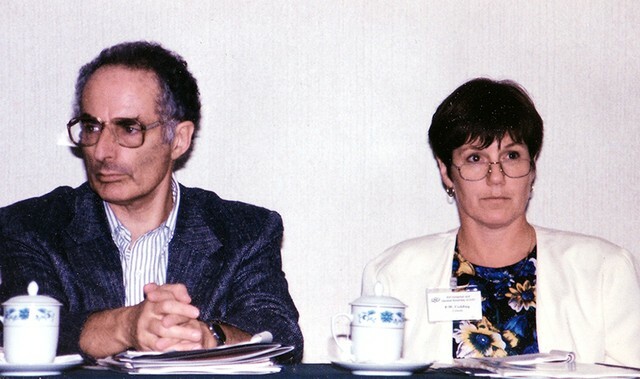 Past President Mario Nardelli (Italy), President André Authier (France). A. Kálmán (Hungary), R. Diamond (UK). 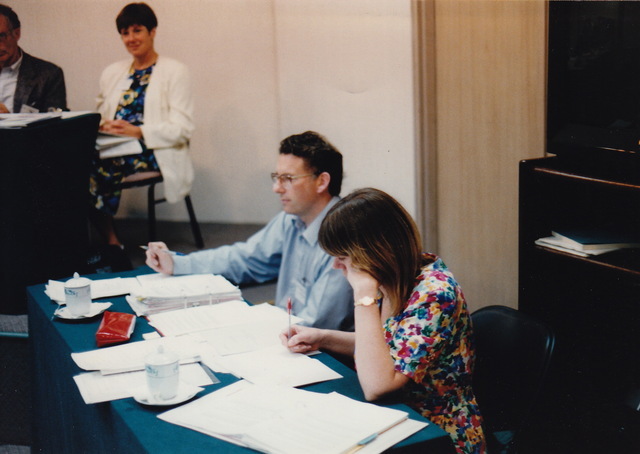 IUCr Executive Secretary Michael Dacombe, assisted by Anne Cawley. 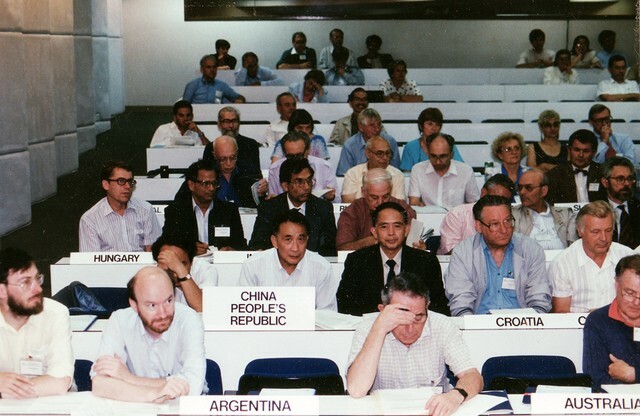 Group photograph of Delegates to the XVI General Assembly of the IUCr, Beijing International Convention Center. 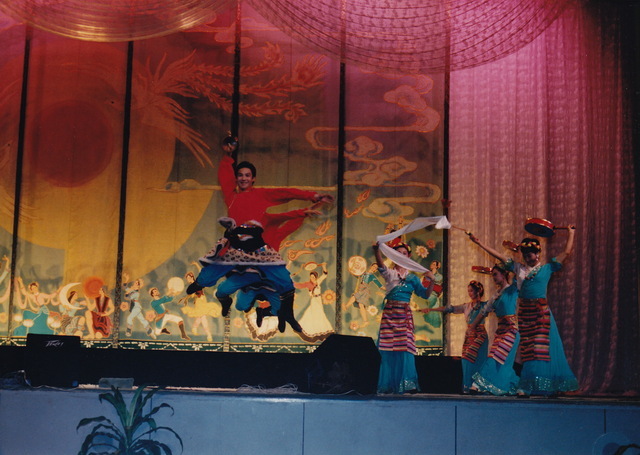 Delegates to the General Assembly. 1st row: A. Preisinger, G. H. Evrard, G. S. D. King, I. Torriani. 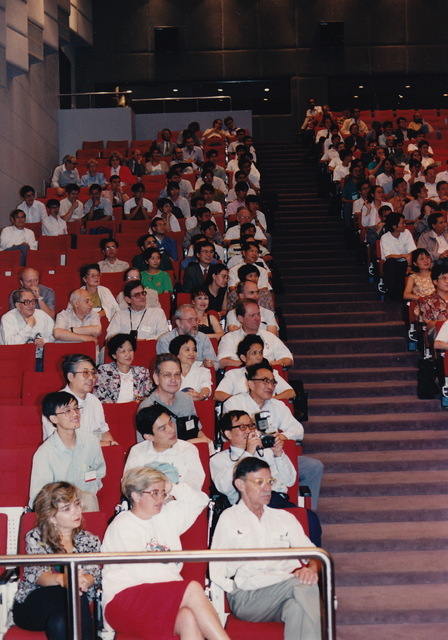 2nd row: N. Thorup, M. S. Ahmed, T. Paakkari, B. Capelle. 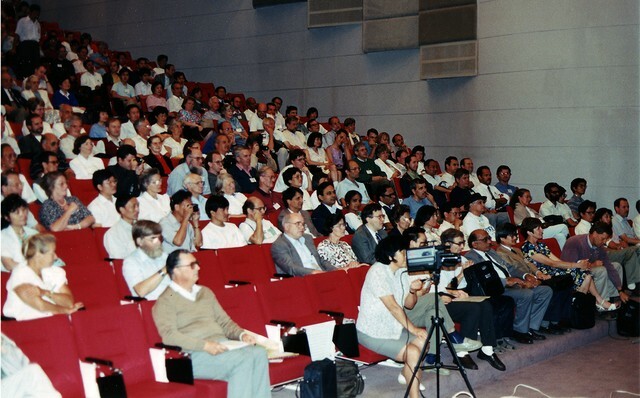 3rd row: F.Herbstein, G.Gilli, G. Ferraris, G. Filippini, M. Tanaka, Y.Ohashi, M. Tokonami. 4th row: G. Kruger, J. C. A. Boeyens. 5th row: A. Bloomer, J. B. Forsyth, J. Howard, J. Flippen-Anderson, R. Bryan, B. Wuensch, K. Watenpaugh. General Assembly. 1st row: B. McMahon, Peter Strickland. Delegates: Hans Freeman. 2nd row: J.-I. Huang, K.-Z. Pan, D.-C. Xie, Boris Kamenar, K. Huml. 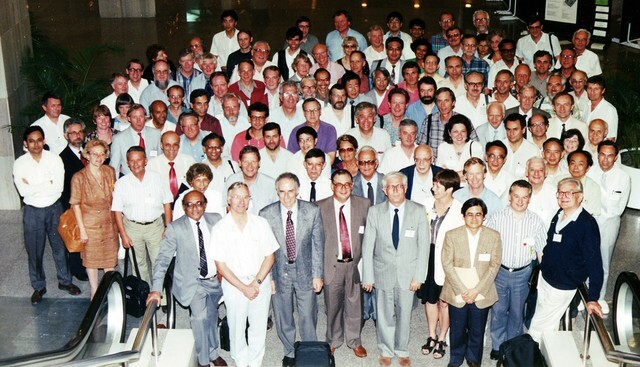 3rd row: K. Simon, K. K. Kannan, K. Lal, F. Herbstein, G. Gilli, G. Ferraris, G. Filippini. 4th row: Boris Vainshtein, Valentin Simonov, D. M. Kheiker, W. R. Melik-Adamyan, S. Stankovic, Ivan Leban. 5th row: A. J. Smith, A. Bloomer, J. B. Forsyth, J. Howard, J. Flippen-Anderson, R. Bryan. Delegates to the General Assembly. 1st row: Y. 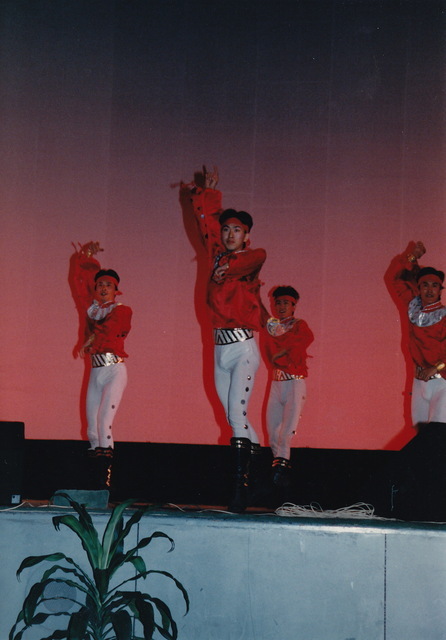 Le Page, Mike James, I. C. Bassignana, J. L. Garin. 2nd row: J. Felsche, H. R. Hoeche, P. Paufler, H. Küppers. 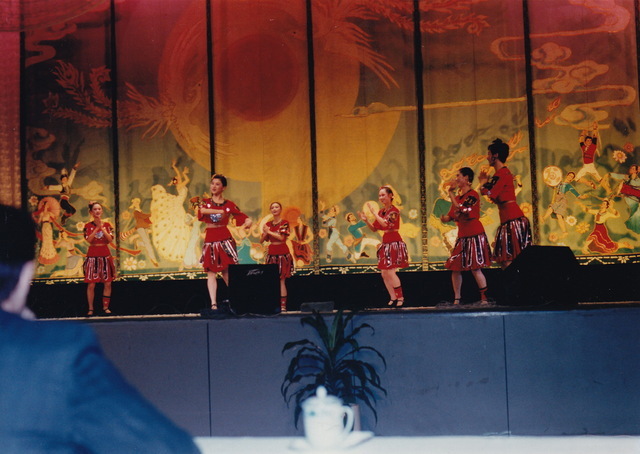 3rd row: D. Feil, P. Beurskens, W. T. Robinson, B. Fjaertoft, K. Lukaszewicz. 4th row: J. Albertsson, I. Olovsson, G. C. Chapuis, H.D. Flack.